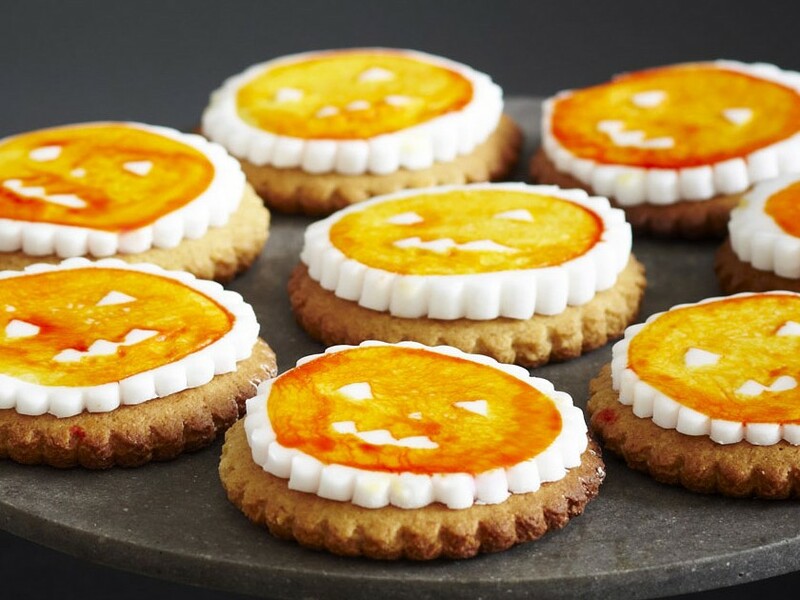 Give your biscuits a Halloween feel by decorating them to look like mini pumpkins. These crunchy ginger biscuits taste great too! Put the honey, butter and sugar into a small pan and stir over a low heat until the butter is melted. Sieve the flour and ginger into a bowl. Add the orange zest and ground almonds. Pour in the egg, melted butter mixture and orange juice into the dry ingredients. Stir with a wooden spoon until the mixture comes together. Knead the mixture on a lightly floured surface for a couple of mins, then wrap in cling film and pop in the freezer for 30 mins to firm up. Set the oven to 180°C/350°F/Gas Mark 4. Roll out the dough on a parchment-lined surface, to a 5mm (¼in) thickness and stamp out the biscuit shapes, using the fluted cutter. Put the biscuits on to the lined baking sheets. Bake for 15-20 mins until pale golden. Cool on a wire rack. To decorate: Roll out the icing on baking parchment and stamp out rounds using the biscuit cutter. Brush the biscuit centres with honey and place the icing on top. Cut one-third off the apple, avoiding the core. Carve out 2 eyes and a mouth on the apple flesh. Mix the food colourings to make orange and paint the cut side of the apple. Stamp on to the iced biscuits. Repeat with the other biscuits. Leave to dry. 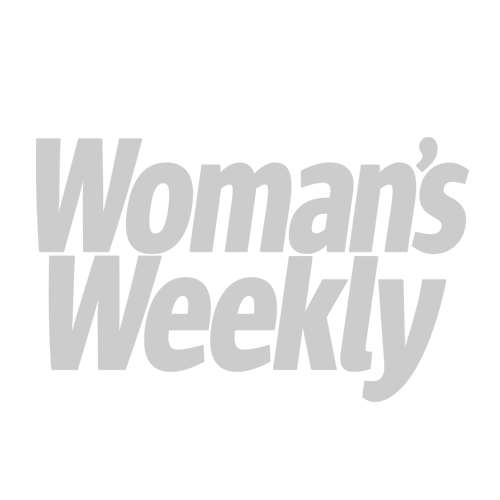 Store in an airtight container for up to 1 week.